Don’t believe the maps. 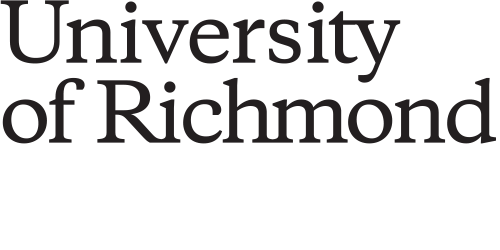 The University of Richmond is much more than a place. Likewise, the Spider is much more than just a mascot. Being a Spider is a way of thinking about the world, a camaraderie in a remarkable community, and an outlook about what matters and what’s possible. What it means to be a Spider hasn’t changed over the last 125 years, but the ways to be a Spider have grown. Today’s Spiders come from, study, and live around the world. They’re still immersed in a challenging liberal arts education, but the ways they can use it to explore keep growing. In 1970, students had about two dozen majors to choose among. Today’s students have 62. The pages that follow offer a comprehensive survey that covers the generational spans, geographic range, and academic interests of Spiders today. We also highlight some Spiders’ stories of legacy and love, of academic accomplishment, friendships, and leadership. You’ll recognize yourself in some of the specific data and be able to situate yourself in all of it. Spiders may be diverse in interest, but we are united by a common bond that develops at this place and then transcends it. Tim’s volunteerism eased his adjustment to college. “It’s a different world from Richmond Public Schools,” he said. “The Bonner scholarship was one of the reasons I stayed at the university.” Tim mentored children from Richmond’s historic Jackson Ward neighborhood, often bringing them back to campus with him. Now the owner of a travel agency, Tim remains committed to his hometown. He coaches a basketball team for Church Hill Activities and Tutoring, a community organization that named him its 2018 volunteer of the year. For the record, Pal’s the one who asked the photographer, “Should we carry her?” Because, you know, friends. There’s no bond like the Spider bond. Since these three met at Richmond, they’ve been roommates, classmates, sorority sisters, study pals — partners in crime carrying one another through graduation this spring and beyond. The current leadership of the Westhampton and Richmond College student government associations have a shared appreciation for their involvement at Richmond. Sara, WCGA’s chair of senate, describes student government as “a great exposure to all the wonderful, different, diverse types of people on this campus.” They view their advocacy for fellow students and interactions with university administrators and trustees as essential to their personal development — and that of their soon-to-be alma mater. “I want to see a university that has grown because of the impact that I’ve had on it,” said Tyler, RCSGA’s president. See this story in our print version with even more data.